The perfect agreement to associate a full width slider for Default Theme in OpenCart. This extension will add a full scope slider in OpenCart. It will be arrive when it is stimulate in Modules and design. Also you need a active set of Banners. Affect your company with a full width slideshow. Easy in use. Select your banners via 'Design 'Banners'. 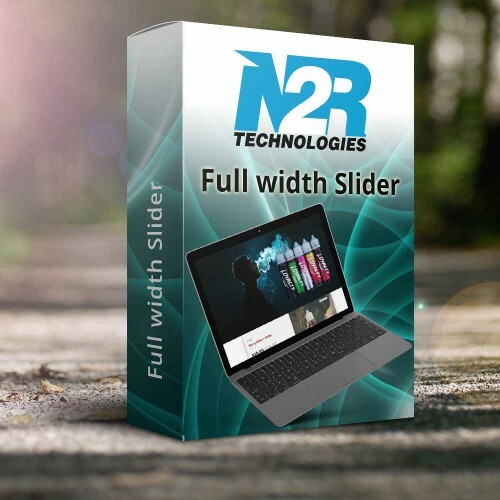 The design of the full width slider is the same as the default slideshow, so it will fit in your store. Uses the internal modification system OCMOD, so there is no need to change any core files. English language included, other may follow - you can do a request via comments after purchasing. Our team of opencart developer use excellent tool to upgrade your older OpenCart older version to latest version. Our experts team of Hire OpenCart developer have team of innovative Opencart free extensions developers as well as Opencart themes developer who have years of experience to supply you an attractive design for your online business identity.